This week I will start my post with a full disclaimer: I have not yet been able to fully wrap my head around the album that I will discuss with you audiophiles today. At this point I must be on my seventh or eighth round through Sisyphus. 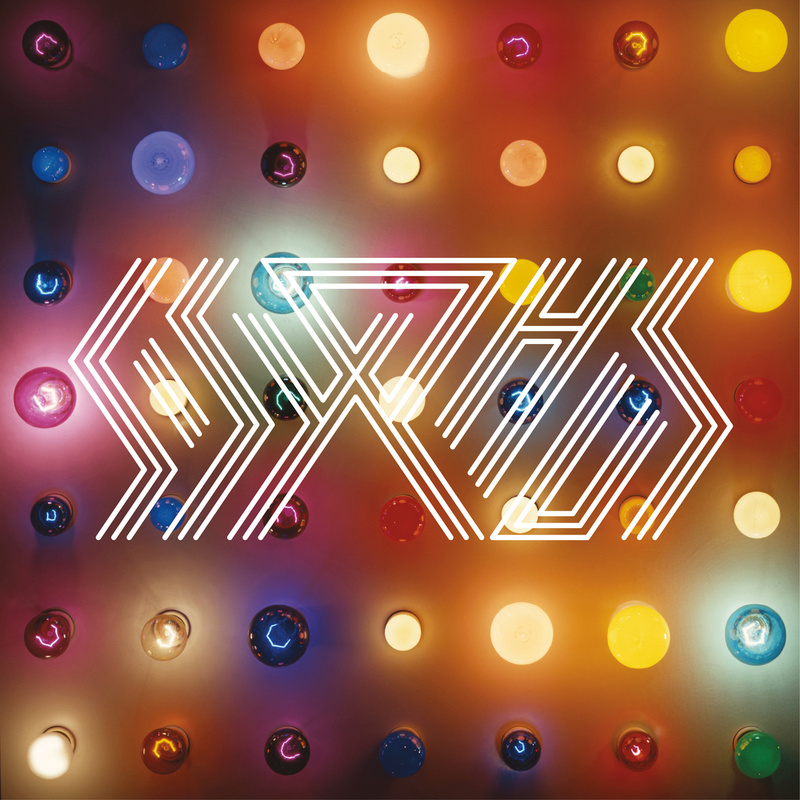 The release of this self-titled full length marks the first true steps of the supergroup formed by Sufjan Stevens, Son Lux, and Serengeti (formerly known through their EP under the name S/S/S). As with any supergroup, I must also disclose my relationship with each member of the band, and why I began listening to the result of their amalgamation. I am rather fond of Sufjan Stevens. The extreme diversity in his creations and the careful nature with which he writes and records means that I must listen to anything he puts his name to at least a handful of times. As for Son Lux and Serengeti, I was unfamiliar with either of them upon first listening to Sisyphus. After my first listen through the album, I gave each of Son Lux and Serengeti a full listen through their most recent albums. So with that perspective in mind, let’s get right down to it, beginning with a listen through the opening track of the album. The first thing that struck me throughout Sisyphus was the amount of space on this record. I would consider both Sufjan Stevens and Son Lux to be fairly maximalist in their approach to music. Both try to fill the space with large orchestration and a multitude of voices, so the fact that everything sounds so spread out in their new collaboration comes as a bit of a surprise. Most of the beats are complex in their rhythmic structure but do not feature many overlapping percussive lines. Electronic tones are sustained and slow-moving or they aren’t there at all. Sufjan sings slowly, frequently repeating similar lines and giving each word time for enunciation. Serengeti’s rap is often flat, subdued, almost monotone, but at the same time clear and rhythmically precise. When everything comes together, you have backgrounds that can keep the listener excited and involved, but overall have a very pensive quality. In an interview prior to the release of the album, Sufjan described the division of labour as himself on the ballads, hooks, and chord progressions, with Son Lux producing, making beats, and “being the man in charge” (I will get to Serengeti below). In terms of Sufjan’s involvement, I heard the familiarly unique sound of his chord progressions, stretched out as they were, as well as touches of his flair for instrumentation. Much to my delight, I heard Sufjan bringing melodic themes back into the fold from previous tracks every now and then, including some countermelodies which can almost be found on The Age of Adz. As for Son Lux, the degree to which he is able to keep the beats sparse yet intricate is rather impressive. Most of this album feels like it has been slowed down, giving the listener time to think and digest the album as it goes. I feel that “My Oh My”, rapidly becoming one of my favourites, due to its erratic theme-and-variations feel, and the fact that it prominently displays the roles of each of the three members of Sisyphus. Serengeti is the voice at the forefront through most of the album, delivering a smooth, calm, and narrative tone to the record. I have not even begun to digest the thematic nature of his lyrics. I have only been able to compute individual verse or songs, with no grasp of the whole as of yet. I think that gives some credit to the amount there is to listen to on this record, as well as the complexity which Serengeti has brought to the table. His generally collected manner of rapping occasionally gives way to raw emotion, making his choice of tone all the more powerful. Lastly, I must say that the concept of space comes to a crashing halt on my favourite track, “Alcohol”, which was chosen to close the album. I will not post it here, as I think it should first be heard where it was meant to be heard, and I will say nothing more about it…except WOW. At the moment the full album is streaming from soundcloud. Do not listen to this album once. Listen to it at least three times, and see where it takes you. PS. Fans of the visual arts in Ottawa should check out the Galerie Old Chelsea, where a new show will be starting featuring Alison Fowler. Her show is titled “Rural Routes”, and begins this Sunday, March 30. The Galerie Old Chelsea is a great little spot with some real talent on display, and it’s a fantastic way to show your significant other that you can appreciate some culture. Find out more on their website.